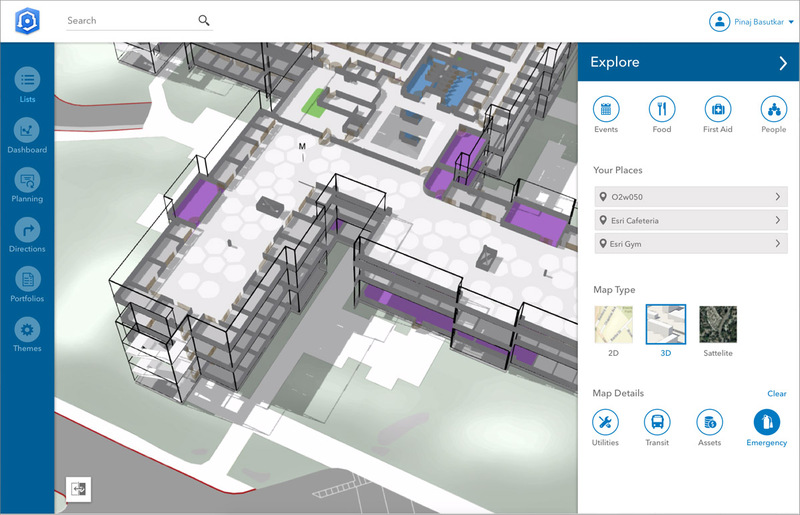 Esri announces it will release new indoor mapping product, ArcGIS Indoors. Redlands, California—Esri , the global leader in location intelligence, today announced it will release ArcGIS Indoors, which will enable interactive indoor mapping of corporate facilities, retail and commercial locations, airports, hospitals, event venues, universities, and more. By applying the latest location technology, ArcGIS Indoors makes life easier for employees, customers, travelers, and visitors by allowing them to see and share where assets, rooms, departure gates, and offices are located. This information, combined with navigation, scheduling, and analytic capabilities, will allow buildings to operate at an increased level of efficiency and safety.ArcGIS Indoors uses data streams, real-time processing, and location intelligence tools to help businesses and other organizations understand how to better coordinate space and other resources with their facilities and campuses. Insights from sensor networks deliver real-time information to managers and executives through interactive dashboards, while visitors and employees can find useful information about the buildings they occupy. Floor-aware, 3D maps allow building operators and occupants to quickly access and explore critical business information, like the location and status of fire extinguishers and their last inspection dates, or conference rooms and their projector options. ArcGIS Indoors will be available for widespread use by the end of the year. However, a beta version of the product will be released at this year’s Esri User Conference, to be held July 9–13 at the San Diego Convention Center in San Diego, California. To learn more about how location intelligence is powering smart workplaces, visit go.esri.com/indoors .